It is easy to get modern kitchen cabinets in Los Angeles that are affordable and beautiful. Whether you are a home owner or a builder you will want to get good quality cabinets for a great price. You will also want to make sure you get a variety to choose from. You won’t know what you like if you can’t compare finishes. Get kitchen cabinets that match the architecture of the home and the style of the homeowner. Many home owners want to update their kitchen with new kitchen cabinets. They like modern but not too modern. Clean, efficient, and sturdy cabinets should be the priority. After that, look for modern cabinet finishes that are appealing. The builder or house flipper looking to make a sale should consider the finishes that are trending, what buyers are looking for, and good quality cabinetry. A person looking to sell a house should consider what the buyer will see when they walk into the kitchen. Buyers will know if the cabinets are low quality or not. To get modern kitchen cabinets in Los Angeles, look for modern finishes. 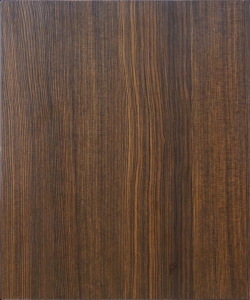 An example of a modern finish is cocoa done on a flat panel door. This gives a clean look with a very modern edge. If cocoa is too dark, other finishes are available such as Milan which is grey with hints of brown. In either case, the modern cabinet should be sturdy and able to hold heavy dishes, glasses, and bowls. Another wonderful feature of modern kitchen cabinets is soft closing doors. Gone are the days when you had to gently push a door closed. The modern soft touch door practically closes itself. If flat panel doors are a little too modern, there are other amazing choices that also offer modern appeal. For instance, dark espresso, American walnut, or antique coffee go with any décor, style, and architecture. They also pair well with granite, quartz, or solid surface countertops, giving the kitchen a renovation that any family would love to linger in. When you get your modern kitchen cabinets in Los Angeles, you will be a happy home owner, or seller because your kitchen will be the best on the block.